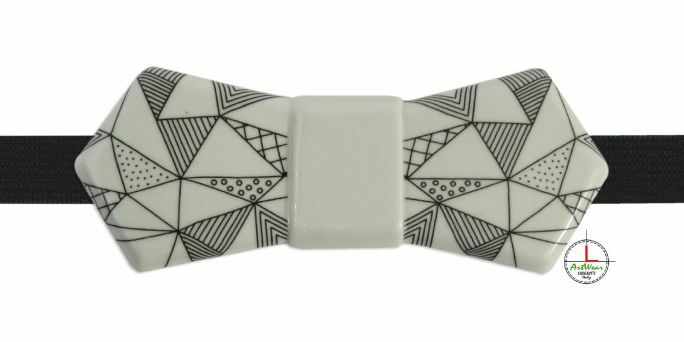 Handmade ceramic bow tie with Hypotenuse decor in black and white. Ceramic bow ties, elegant fashion accessories, are suitable for the most varied occasions and guarantee a fresh and young look for both man and woman. 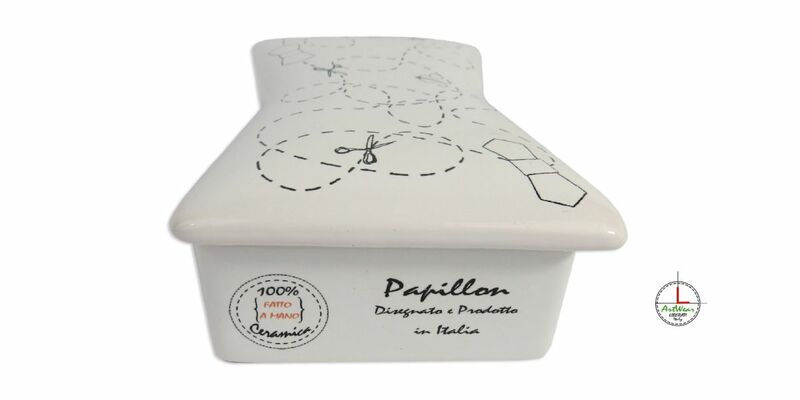 From the Latin "hypotenus" it means "line stretched beneath" and the decoration of the papillon appears not only as a representation of more triangles created with lines but rather to be a tribute to the science of geometry and mathematics in general. 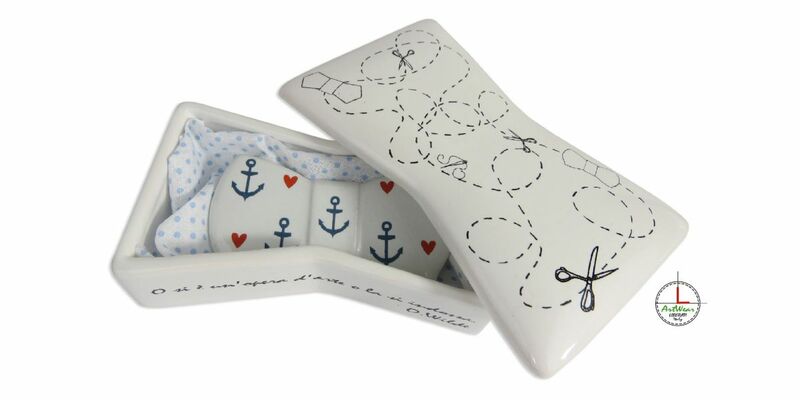 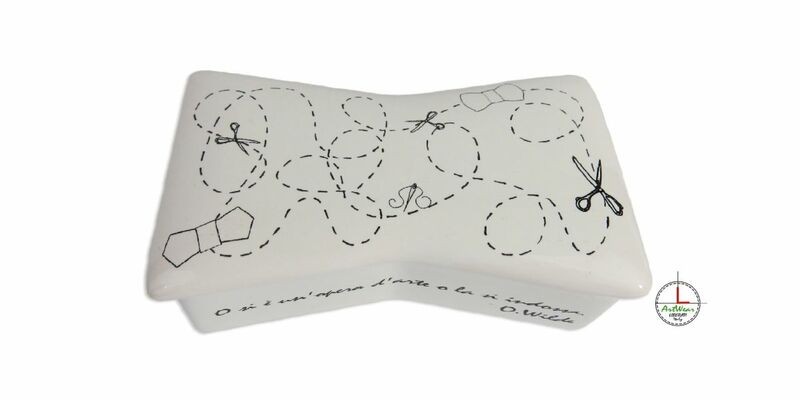 The application of the decor was done with the digital printing technique on ceramic, which makes the image indelible.